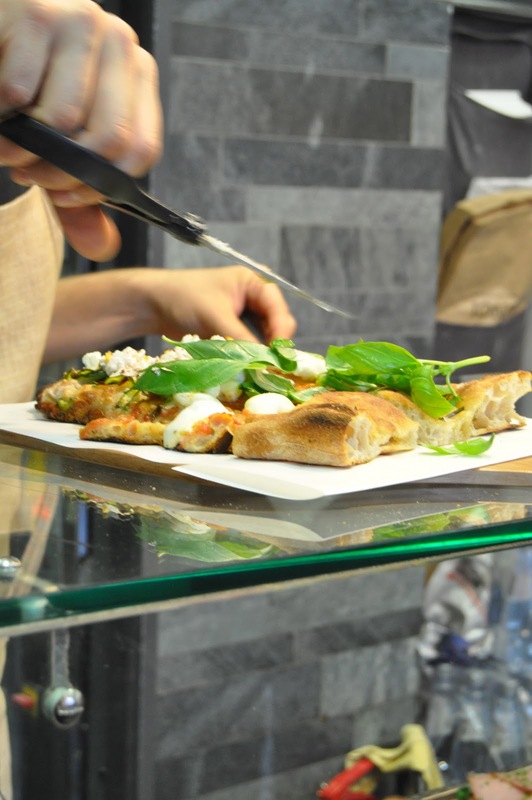 Traveling Food Lady: Pizza in Rome~a great recommendation! After my last trip to Italy with my touring group of ladies, I had to be in Rome to fly back home so... I took Elizabeth's Minchilli's recommendation to visit this wonderful pizza establishment. Elizabeth has taken several classes from the owner himself, he does offer classes to the public I read, making breads and his fabulous pizza. Elizabeth reports from Rome where she writes about all things delicious and beautiful. She also gives private walking tours taking you to some of the most exciting eating establishments in Rome. Although I have never met her, I know we have many things in common. Sometime soon, I will give her a call! If you are in Rome, look her up......I know it would be a great experience for you. 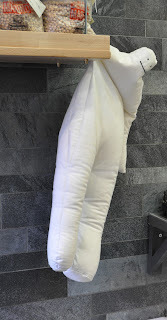 She also writes a fabulous blog about her findings in Rome and also in Florence. Bonci is famous for his constant innovation of toppings and ingredients. This was the pizza I chose~loaded with fresh basil! The pizza was warmed and then the basil was added at the last moment. 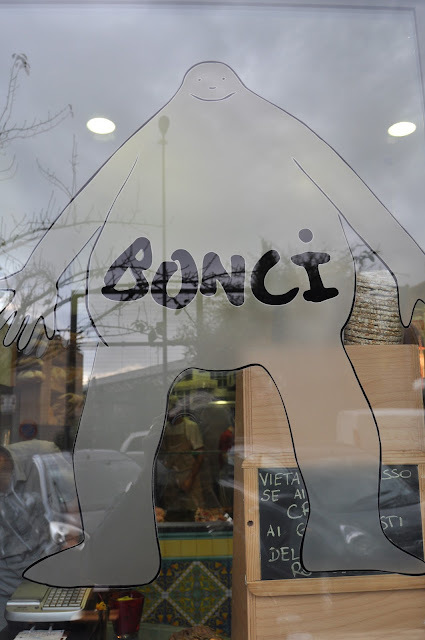 Delivery truck and address if you want to find BONCI! It is delicious! What a delicious looking opportunity for pizza! I'm so glad that you stopped by. A cup of tea and further exploration of your posts will be a part of my afternoon. This post is one huge seductive smile. Suz from Made for Joy. snips of fresh basil? what a masterful touch!